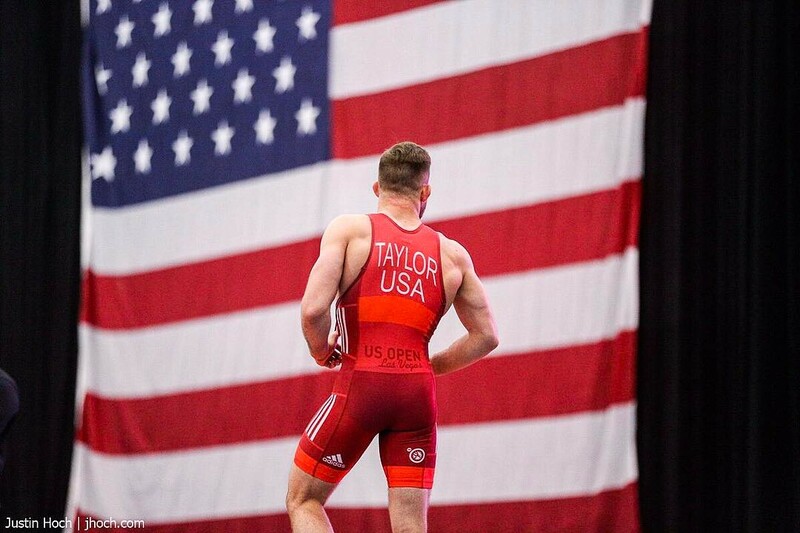 Heading into the US Open I often reminded myself that this is another opportunity for me to compete against the best wrestlers in USA. At this level everything has to be aligned from your training, conditioning, nutrition, and coaching. You have to have full confidence in your preparation to remove all of the "what ifs" and doubts. Over the past year I have regained the belief that I can wrestle with a lead, I can catch up when I'm down, and that I will always be more fresh than my opponent in the second period. Moving up a weight class was the right decision for my body. Making 74kg took a toll on me and I often felt like I was missing a little of that spark needed in the second period of matches. One of the more important lessons I learned was patience. This is a process and it isn't easy. It takes time, effort and focus. I had to make the choice that this was the path to success and no single piece was more important than the other. There's a tendency to choose one area over the other; I'll spend all my time wrestling or I'll get super strong. For me, I found that if I'm not aligned in all areas, the other areas suffer. And at this level I need all of the areas to be as sharp as possible. In future posts I'll dive deeper into each area and provide what I eat, a sample of my conditioning and the style of techniques I use. d in Vegas a few days before the tournament to get acclimated to the three hour time change. It may not sound like much, but in the semi-finals and finals I was wrestling at 10pm or later on my body clock. At home, I'm usually getting ready for bed. 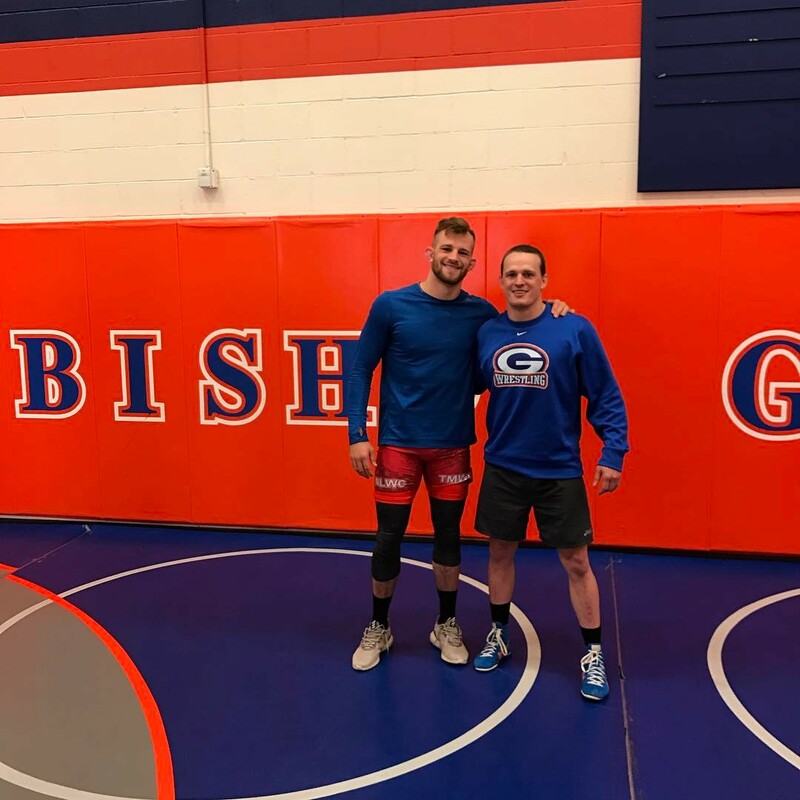 My preparation included a visit to one of my favorite people, Ricky Lundell, Head Wrestling Coach at Bishop Gorman. He always emphasizes Cael's mantra of getting 1% better everyday. We had a great session of movement and wrestling plus it's always good to catch up with friends. At this level, everyone you wrestle is tough. Anthony Cress, Chance McClure, Pat Downey, Nick Heflin and Richard Perry; each of these athletes has been wrestling for a long time and one mistake could cost you the match. My focus is always on constant movement and scoring and my goal is to put my opponent through hell. My conditioning coach Sam Calavitta at the Treigning Lab has prepared me for this grueling style of wrestling and it really helps open my attacks as the match goes on. Throughout the tournament I felt good, but there were a couple of times in my semi-finals match with Nick Heflin when I got in some tough positions and gave up some exposure points. I was able to maintain my lead, but knew there are some things I needed to adjust. I worked with my coaches the next morning to evaluate what I need to improve on for the finals. In my finals match against Richard Perry, I was able to keep out of the position that Nick put me in and secure my second US Open title. If you watch the match you’ll see that I scored on a shot to my right side, his left leg. This is not my normal side for a high crotch but I’m starting to see I can score from both sides which opens up even more possibilities. 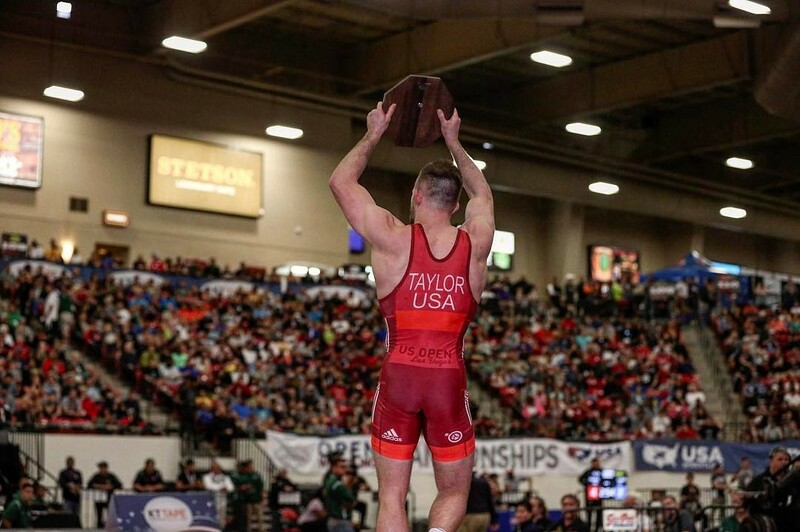 Next up is Beat the Streets and then on to prepare for the World Team Trials in Lincoln, Nebraska. I’m looking forward to the opportunities to wrestle the best again! You hear me say that I like to go out there and have fun. I know some people think I'm just saying this, but if you look at the opposite side of this, it makes more sense. If I didn't have fun and enjoy the challenge of improving and the challenge of competition there would be no point to the amount of work I put into wrestling. I could stay in good shape with about a quarter of the work and probably eat a little less clean more often. My choice was to pursue wrestling at the highest level and this requires the ultimate commitment from me, my wife, and my coaches. This is my work. Some days are harder than others, but even on the hard days I find some enjoyment, something that I learn from and grow from. Rylee was selected as the winner of the red singlet I wore in the US Open. There will be more giveaways throughout the year. My subscribers are automatically entered in every one!